An image of missing Colorado woman Kelsey Berreth is seen at left at the Woodland Park Police Station. Her fiance, Patrick Frazee (right), was arrested on a murder charge Friday, Dec. 21, 2018. A 1-year-old Colorado girl whose father is accused of killing her mother will stay with her maternal grandparents for now. A judge granted temporary custody to the maternal grandparents during a closed hearing Thursday. The girl's father, 31-year-old Patrick Michael Frazee, was arrested Dec. 21 on suspicion of killing her mother, 29-year-old Kelsey Berreth. Frazee and Berreth were engaged. Colorado Police arrested the fiance of a missing Colorado woman on charges of murder and solicitation of murder Friday. 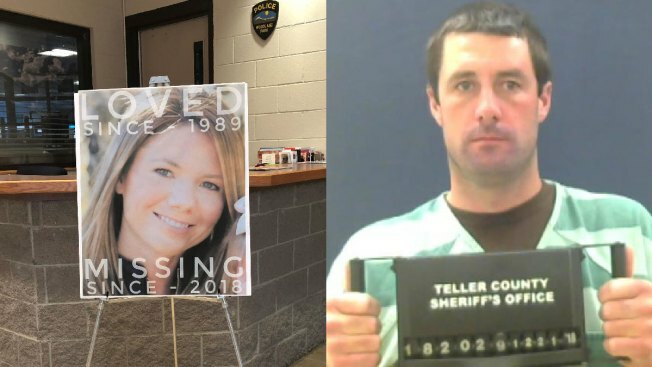 Patrick Frazee was arrested at his 35-acre home Friday morning after his fiancee, Kelsey Berreth, had been missing since Thanksgiving. The last image of Kelsey Berreth was from a surveillance video at a grocery store Thanksgiving Day. Berreth's body hasn't been found but police say they believe she is dead. A court summary of Thursday's hearing says Frazee's mother filed a motion to intervene in the custody case and made an unspecified placement request. The summary didn't say whether she had asked for custody. The court delayed action on her requests. Patrick Frazee's next court appearance is Monday. The next hearing in the custody case is Jan. 3.